The Vx 510's backlit display, easy-to-read menu prompts and intuitive, ATM-style interface reduce the chance of entry errors. In addition, its integrated high-speed thermal printer and internal PIN pad keep countertops clutter-free. For U.S. and Canadian merchants, the Vx 510 includes Ethernet and 12 MB of memory. In Canada, it is also Interac certified and available with a smart card reader. 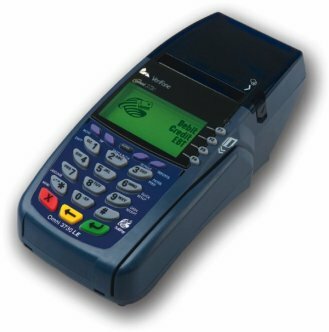 For merchants outside the U.S. and Canada, the Vx 510 includes a smart card reader to handle data-intensive EMV transactions plus a choice of dial or dial + Ethernet connectivity, 0 or 3 SAMs, and 3 MB or 6 MB of memory. The Vx 510LE is just what U.S. merchants want, and everything they need! This hard-working, reliable payment device efficiently processes debit and credit transactions. Plus, as a part of Vx Solutions, it is an extension of what you already know. Its ATM-style interface is instantly intuitive, requiring virtually no training. The lightweight, ergonomic device with integrated thermal printer and a built-in PIN pad can be easily handed to customers for PIN entry. Intuitive ATM-style interface, large backlit display, ergonomic keys, and bold menu prompts minimize clerk training, speed lines, and reduce errors.